Project SUSBIND was initiated with the goal to substitute fossil-based chemicals with those from renewable resources. 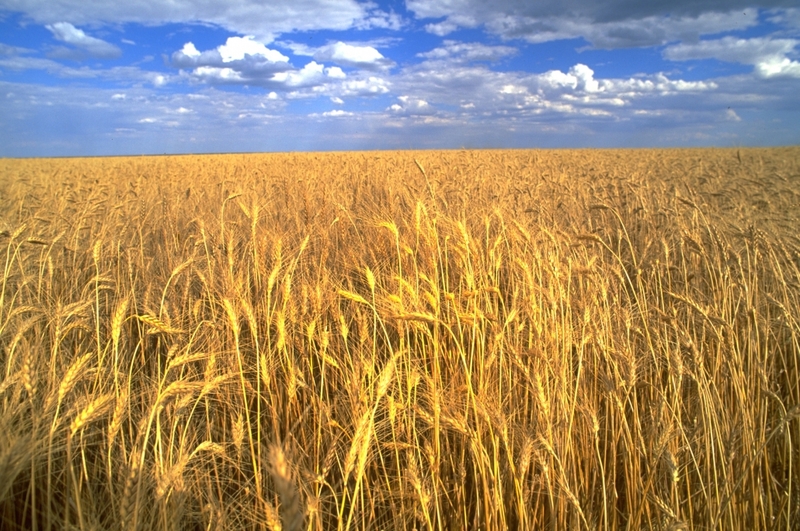 The scope of the project was defined around feedstocks from the starch-based biorefineries and from the vegetable oil-based biorefineries already present in Europe. Meeting a first intermediate milestone end of December 2018, the carbohydrate-based feedstocks are now selected. 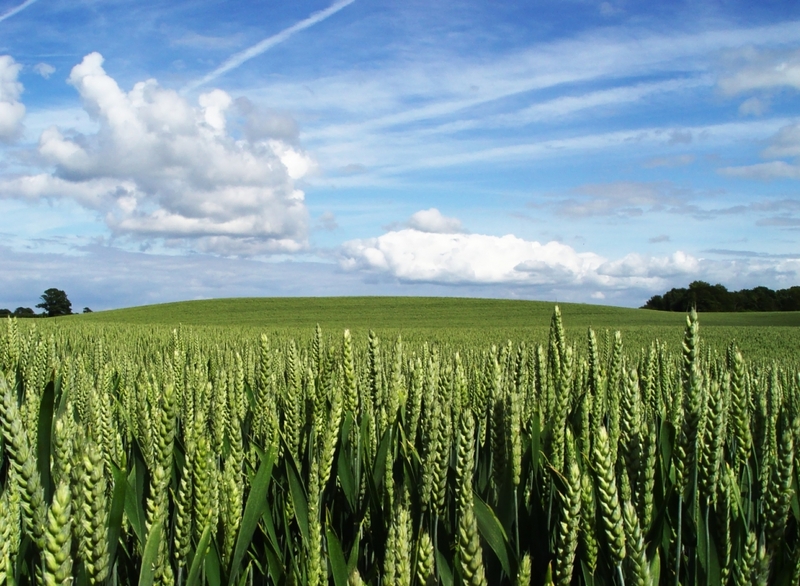 The role of the bio-based products as alternatives to fossil-fuel counterparts and their importance in developing a sustainable economy based on renewable materials has been recognized in the EU 2020 strategy. A sustainable European bioeconomy is necessary to build a carbon neutral future in line with the Climate objectives of the Paris Agreement. On top of that, a sustainable European bioeconomy aims to support the modernization and strengthening of the EU industrial base through the creation of new value chains and greener, cost-effective industrial processes (European Commission, Directorate-General for Research and Innovation, Unit F – Bioeconomy, 2018). Starch is a carbohydrate extracted from agricultural raw materials such as wheat, corn and potato. In fact, besides cellulose, starch is the most abundant carbohydrate in nature. Because it is renewable and biodegradable it is a perfect raw material as a substitute for fossil-fuel components in numerous applications. According to Starch Europe, the carbon footprint of starch biorefinery streams is very low compared to traditional chemicals from the mineral oil industry. However, not all streams from a starch-based biorefinery are well suited for its use in the SUSBIND project. large availability (around 4 million tons of dry substance per year in EU). Modern starch-based biorefineries, already present in Europe, are indeed able to deliver large volumes of cost-competitive renewable and “clean” feedstocks. All three proposed feedstocks are products from the liquefaction process of starch. Through depolymerization of the macromolecular starch polymers, solutions of oligomers or even monomers can be obtained and the insoluble starch is converted into liquid syrups. This liquefaction can be done either chemically and/or enzymatically and can be controlled very precisely so that a broad range of syrups can be produced. 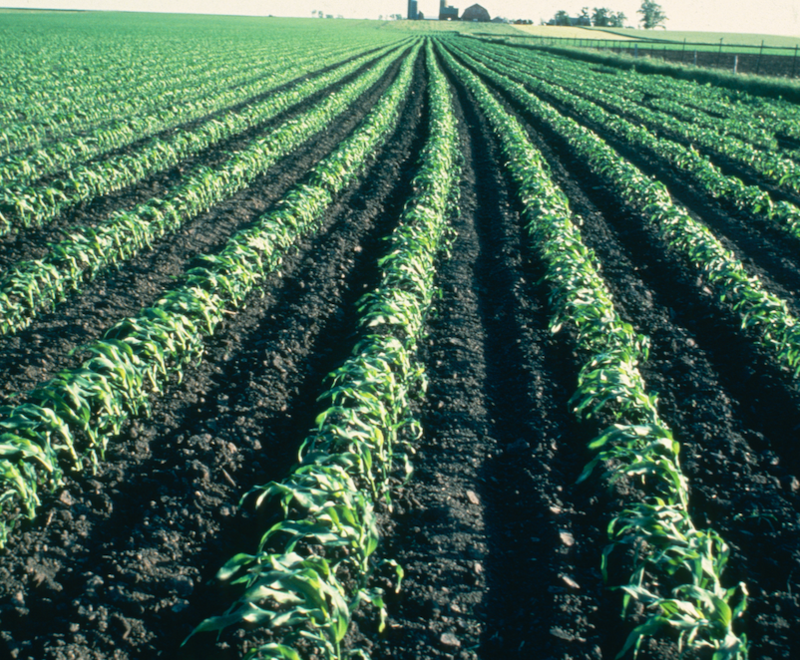 Although evident from the process that the carbon footprint cannot be exactly the same for all the selected feedstocks, a fast assessment indicated that the differences are negligible. Fructose, glucose and maltodextrins are all well-established products of high purity in the industry with little complexity in handling and conveniently high level of dry solids around 70%. The final selection of the most suitable feedstock will then be done solely based on the chemical reactivity in the process to be developed. In order to have good coverage of the carbohydrate range, the two monomers fructose and glucose were selected as well as the oligomer maltodextrin, which could be considered a pre-polymer of glucose. Samples of these selected feedstocks were shared with the project partner taking care of the carbohydrate conversion to reactive compounds for development of the final resin. Starch Europe. 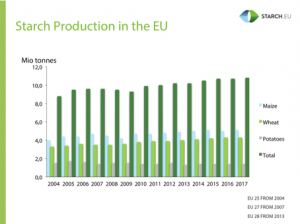 Starch Production in the EU. Retrieved from https://www.starch.eu/the-european-starch-industry/#figures on 18.3.2019.